Gambling has come a long way over the years. Its roots can be traced back to ancient times, and even classic casino games like blackjack and poker have been around for hundreds of years. But of all the advances in that the world of gambling has seen, mobile casino gambling is the most incredible. Mobile casinos let players take their favorite gambling games with them wherever they go. 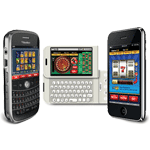 Whether it’s slots, video poker, blackjack, roulette, or even derby racing, it can be played on a mobile phone. With mobile casino games, players can bet and win money anywhere, any time. Modern mobile technology also brings new ways to play. Many modern smartphones now offer touch screen displays, like the iPhone and Android phones. Playing mobile casino games on a touch screen device is a unique experience, and it adds a new level of interaction to classic casino games that was not possible just a few years ago. Some mobile casino games even offer progressive jackpots. These mobile jackpots give players the opportunity to win unbelievable amounts of money on their mobile phones. Just imagine suddenly becoming a multi-millionaire while playing mobile slots on your way to work tomorrow! This section offers information and listings of all the top mobile casino games in the industry. 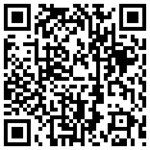 Whatever your tastes, and whatever mobile phone you have, there is a game here for you!